An underwater shot in Semporna, Sabah. Imagine that you are at an orchestra where all musicians are present, but you are informed that there is neither a musical score nor a conductor to conduct the orchestra. What would the orchestra experience be like? Our national waters as well as waters in areas beyond national jurisdiction are riddled with such a similar plight. As economic and technological tides change, our oceans are increasingly accessible where new uses and users continue to crowd our oceans, but the question remains – at what tempo and beat will our oceans be played? Who will be conducting the harmonious and sustainable use of our oceans? The very vastness and grandeur of oceans whilst proving to be of phenomenal natural strength have equally proven to be its Achilles Heel. Terrestrial mankind, due to the very vastness of oceans, are blindsided from the fragility and vulnerability of ocean ecosystems as we race in opposing directions to explore, exploit and plunder our seemingly infinite ocean resources; discharge waste and other polluting materials; and become too disconnected physically and in psyche to realise either that large deposits of waste and discharge end up in the ocean and that the biodiversity, food, well-being and livelihood supporting oceans are neither infinite within a given time and space, nor unaffected by waste and pollution. Independently pursued, poorly coordinated, and environmentally unsustainable activities of mankind are disrupting the natural ocean rhythm as witnessed by changing climate and rain patterns which are no longer in tune with previous patterns, and tides which now dance to a different beat and tempo. All in all, something has gone terribly wrong and is affecting the ocean score. Apparently, the anomaly is mostly caused by human activities, which are not coordinated and growing in scale and variety. Earth is also known as the blue planet due to its colour when seen from outer space. This vivid blue vision is attributed to the 70% of oceans that cover our planet. This body of water which produces half of the air we breathe, also absorbs 30% of the carbon dioxide we produce, provides food security, livelihoods, economic gain, spiritual and cultural links, a peace of mind, abundance of knowledge, resources for medical cure and scientific research, and many more untapped potentials. Fishing, education, tourism, oceanic shipping, carbon sequestration, bio-technology and others contribute towards the value of our oceans estimated to be about USD24 trillion. 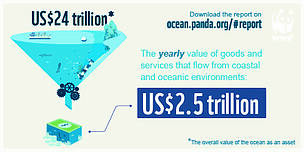 The annual output of ocean related goods and services amount to approximately USD2.5 trillion annually, thus placing the oceans as the 7th largest economy in the world if the values are put in terms of GDP (Source: Reviving the Oceans Economy, 2015). Did you know that globally almost 70% of oceans belong to nobody? Under international law, coastal nations are permitted in general to claim up to 200 nautical miles from their coasts in terms of ocean space for which such nations have various rights. Even though many coastal states have done so, approximately 64% of our oceans remain largely unclaimed and is thus subject to the freedom of the seas doctrine where such Areas Beyond Natural Jurisdiction (ABNJ) are free for all and deemed to belong to no one. In the wake of enhanced technology, distant ocean spaces are no longer inaccessible, new users of ocean space and resource are emerging, and more aggressive methods for exploitation are available, all of which culminate in the crowding of our ocean space. Considering the rising threats from the proliferation of activities in ABNJ and the inadequacies of the patchwork of existing regulatory frameworks to adequately conserve biodiversity amongst others, the United Nations General Assembly has initiated a series of negotiations to consider the development of a new treaty to promote the sustainable use and conservation of these areas beyond national jurisdiction. Whilst such recognition has taken place internationally, let’s take a closer look at our home front. Did you know that our marine space is almost twice that of our land space? Malaysia, by claiming an Exclusive Economic Zone (EEZ), which extends up to 200 nautical miles under international law, has more sea area than land territory under its control and lies within one of the most biodiverse regions of the world – the Coral Triangle. Parts of Malaysia’s seas are within three Global 200 ecoregions, areas identified by WWF to have high conservation value from a biodiversity perspective; namely, Andaman Sea Ecoregion, Sulu-Sulawesi Marine Ecoregion and the Greater Sundas Mangroves. Our marine ecosystems support several species that improve the status of many other species which share the same habitat or are vulnerable to the same threats – referred to as flagship species – include marine turtles, tuna, reef and pelagic sharks, humphead wrasse and corals. These ecosystems support more than 100,000 individuals in the fisheries sector. Malaysians derive more of their protein from fish than any other country in Southeast Asia (Burke, L. et. al., 2002) and are the fourth largest consumer per capita globally (FAO, 2010). Malaysia’s seas are invaluable sources of natural capital, which play various ecological functions and provide various ecosystems services. However, presently, we have insufficient mechanisms to effectively manage our seas. Unlike the rivers and forests, the seas of Malaysia lack a defined institutional home and comprehensive regulatory framework nationally. In the absence of a clear custodian and clear policy direction for seas, the protection, conservation, and management of our marine environment have taken a very fragmented approach mirroring to some extent the subject matters identified in the Ninth Schedule of the Federal Constitution, which provides for the respective State and Federal jurisdiction to enact laws, such as fisheries and shipping. There are more than 20 ministries and departments all tasked with various functions and powers related to marine governance but no single entity has the overall interest of the seas at heart nor is there an entity overseeing marine biodiversity conservation throughout Malaysian waters. Who will then be guiding the stewardship of our oceans for present and future generations? What is the vision for our Oceans? Who will take the lead in coordinating the implementation of Goal 14 of the Sustainable Development Goals on Life under Water nationally? Who will effectively represent and voice our ocean and marine biodiversity interest in international platforms? There is neither a score to set the tone, tempo and beat for, nor a conductor to guide, the sustainable use and governance of our seas amidst the increasing singular and cumulative pressure from pollution, unsustainable coastal development, overfishing, destructive fishing, wildlife crime, climate change and others. Our marine environment is in dire need of better governance. Malaysia, as signatory to various international treaties and conventions, has reflected some of our ocean related commitments in national laws, such as the Exclusive Economic Zone (EEZ) Act 1984 and the Territorial Sea Act 2012. These laws remain very general in application with the exception of some specific areas. The Fisheries Act of 1985 of its preamble and part IX are the closest legal instruments at a Federal Level, which provide scope for conservation and/or management and use of our marine living resources. Fisheries, whilst a significant component of natural resource, is also a major food source and is presently managed by the Department of Fisheries under the Ministry of Agriculture and Agro Based Industries. Marine parks are established in Peninsular Malaysia under the Fisheries Act and managed by the Department of Marine Park, but this is usually limited in application to the narrow belts of marine parks (usually 1 to 2 nautical miles from the coast). Another crucial legislation in terms of biodiversity conservation, the Wildlife Conservation Act of 2010 (applicable only in Peninsular Malaysia) does not include marine species covered under the Fisheries Act. Consequently, we see marine animals, seagrass and corals fall within the ambit of the Fisheries Act. 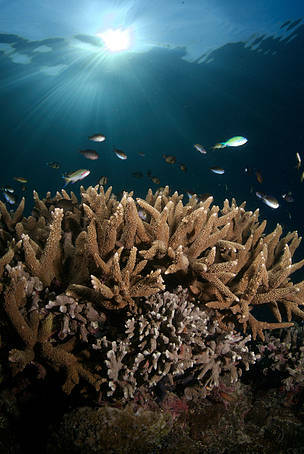 This Act, whilst generally providing for the exploitation of marine resource and management of such resources, has some notable provisions for the conservation and protection of marine species and ecosystems but these are limited in scope and arguably leave larger marine conservation issues unaddressed. Placing all marine biodiversity under the Fisheries Act poses contradicting responsibilities to the Department of Fisheries and the Ministry of Agriculture and Agro Based Industries and this begs the question of how marine biodiversity goals are prioritised in contrast to fisheries exploitation goals. 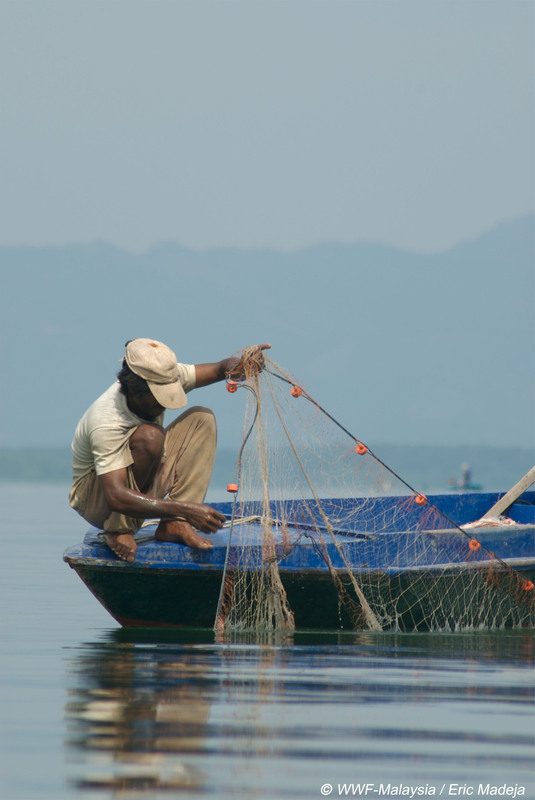 How will fishery resources and marine biodiversity be balanced with food security needs? Should, for instance, marine protected areas be designed and established to mainly improve fisheries activity, or should marine protected areas be designed to optimise ecosystem resilience and marine biodiversity? It would seem that in the absence of regulatory frameworks specific to the marine biodiversity and ocean environment, we are over-working and possibly even misusing existing legal frameworks that may not be adequate to address biodiversity concerns. For instance, fisheries goals may not be consistent with marine biodiversity goals, and to subject the latter under the legal framework of the former would be to yield to lower conservation standards or worse still negate biodiversity conservation and protection. Imagine asking a melodically restrictive instrument such as a drum to perform the part scored for a more agile violin or expecting the latter to produce the distinctive output of the former. Whilst possibly workable, it would certainly have to forgo key idiosyncrasies and will have to be reinterpreted. The above is just the tip of the iceberg as more challenges plague marine conservation and ocean stewardship in Malaysia. For instance, challenges are encountered in balancing present food security and livelihood needs against management of fishery resources or marine biodiversity. Harmful fishery subsidies continue to be distributed, further encouraging fishery despite already dwindling national fishery resources. Further, coastal developments at times also compromise the integrity of key turtle nesting beaches or fishery ecosystems. It is further fair to say that our marine environment is less understood compared with our terrestrial environment. We do not have for instance comprehensive knowledge of marine ecosystem cover or key Ecologically or Biologically Significant Marine Areas (EBSAs). This has in part resulted in the neglect of conservation of seagrass, mudflat ecosystems and other marine ecosystems. Our oceans are an integral part of our economy, well-being, food security, livelihoods and even identity, and in further taking the cue from the five principles of the Rukun Negara, we need to bring our ocean agenda up front and centre. Our days of side lining oceans are over as our waters are severely overfished, ecosystems destroyed, waters polluted, and sea temperatures rising. We can no longer seek to fit square pegs into round holes by inserting new elements of ocean management under existing frameworks. We can no longer turn a blind eye on present and emerging ocean related issues such as climate change, biodiversity conservation and so forth. We can no longer deal with different ocean uses and users in isolation. Our oceans demand undivided attention, and hence, a policy framework needs to set the tone to pave the path and coordinate the sustainable use of our oceans. Investment in stronger science to guide policy development and innovative technology, which integrates environmental sustainability considerations. Taking cognisance that we, the people of Malaysia, are benefactors of a healthy and biodiverse marine environment and that our marine biodiversity is a shared heritage, it is thus a shared responsibility and therefore, the Malaysian community needs to play a more active role in determining the future of our seas and marine biodiversity. Simple mindful acts can indeed go a long way. Take a Stand on Ocean Sustainability – Ask yourself, do your actions match your concerns? Check and ask if your seafood products are sustainably produced. Avoid using single-use plastics, such as straws or plastic bags. Engage with your local representatives and voice your concerns and hopes for our seas. As responsible Malaysians, we should start by setting the desired beat and tempo, and work through partnerships in composing the score for our seas. A small-scale fisherman in Sabah. Infographic from Reviving the Oceans Economy, 2015 report.